From innovative new LEICA photography and incredible battery power to a bright and mighty OLED display – the P30 is the phone that keeps on giving. Let’s unbox what this beaut can do. 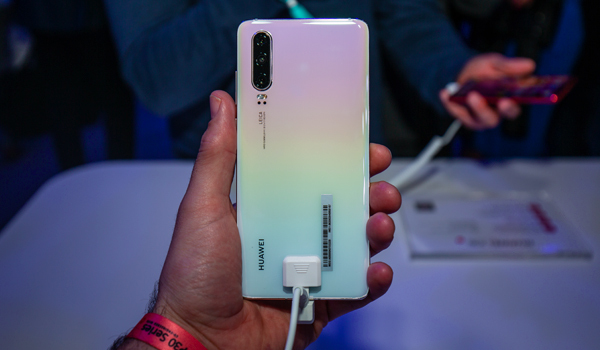 As soon as we picked up the new Huawei P30, the first thing we noticed was just how lightweight and super-slim it looks and feels in the hand. Then we turned it over and were instantly bowled over by the unique gradient effect. The Breathing Crystal is a gorgeous pale shade of white and blue, while the Aurora Blue colour shimmers from blue to green. 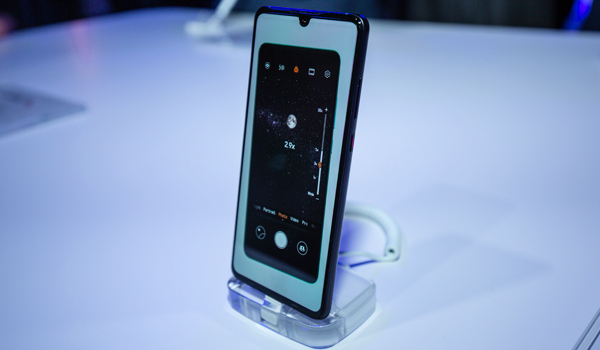 Dew drop, water drop – whatever you want to call it – the Huawei P30 has one and the results are more of that dazzling 6.1-inch OLED display. Whether you’re gaming on the go, or catching up on boxsets while you wait, the P30 display boasts definition that really packs a punch. If you like watching stuff on your phone, get ready to do it in Full HD+. The colours on this phone are so rich without ever looking over-saturated. And when you’re in the mood for a spooky flick, the blacks are as deep as you like. Mwahaha. The P30’s LEICA triple lens main camera creates bold, show-stopping images. Take super-wide landscapes or shoot portraits with beautifully blurred backgrounds in so much detail you’ll know if a strand of hair’s out of place. When night time hits, the P30 will still take breath-taking photos in extreme low lighting. So, if you’re dining al fresco on holiday or having a night out with your mates, you’ll get well-lit shots bursting with detail that you can post straight on your social media. You can even take footage at night with stunning Low Light Video – all powered by SuperSensing Sensor. And while we're on the subject of video, the P30 shoots Dual-View video. Yep, it simultaneously records wide-angle and close up view at the same time - give you two points of view at once. The AI intelligence is pretty awesome too. We had a play around with it and it was able to determine most objects – from food to greenery. Then, it adjusts its setting and figures out the best way to shoot that object. It’s an AI genius! We need to discuss the selfie situation. The Huawei P30 has a feature called super selfie and with a 32MP front facing camera, it’s easy to see why it got its name. You’ll be grinning, pouting and smouldering up a storm for great selfies brimming with detail. Ready for your close-up? The P30’s fingerprint scanner is hidden under the display for next-level security that doesn’t get in the way. Plus, it’ll work whatever the weather – so you won’t have to worry about not being able to unlock your phone in the rain. Just pop your finger or thumb on the screen, and access everything you need. From boxset binges to long gaming sessions the battery on the P30 is massive and has smarter AI power management. In short, it analyses and understands how you use your phone and then uses your battery in a smarter way. It basically learns to operate, based on how you operate. Smart. Plus, Huawei’s SuperCharge feature is the fastest in the world. In just 30 minutes, you can refuel the battery up to 60%. It’s powered by Huawei’s revolutionary Kirin 980, which is officially the most powerful AI chipset on the market. It cleverly understands your smartphone needs, from what you do on your camera to how the processor and battery work. It makes everything faster and smoother for an all-round seamless experience. We’re on board! We couldn’t not mention the super-sized flagship Huawei P30 Pro. It’s truly ground-breaking with a 6.47-inch OLED display. For starters, it’s got a quad-lens main camera. That’s four lenses to capture everything in jaw-dropping clarity. You can even get right up close with the 50 times zoom feature. And round the front, the 32MP lens is the highest resolution that’s ever been on a front camera. We were super impressed by the sharpness of the selfies it can take. Another thing you need to know about the P30 Pro is that it offers wireless reverse charge. So, it lets you give some of your power to other phones and accessories. Just line them up back-to-back, and the other device starts charging straight away. So, what do you think? Want to upgrade to one of the best phones to ever hit the market? 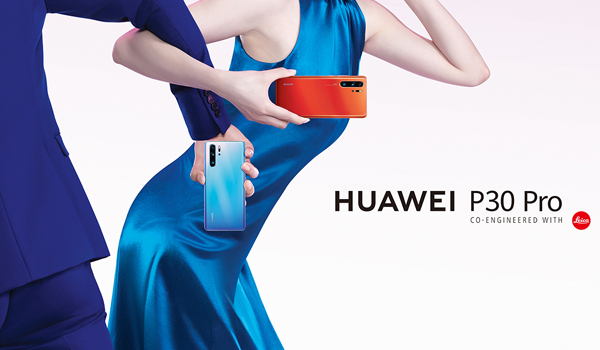 Pre-order the Huawei P30 and P30 Pro at Carphone Warehouse. They're available in Black, White, Aurora Blue, Breathing Crystal and limited-edition Amber Sunrise.